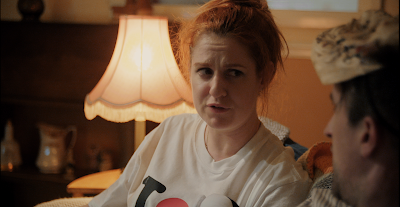 NETFL!X AND KILL is the latest darkly hilarious offering from writer/director Kate Shenton, which tells the unlikely story of a psychopath and his victim... who spend all day sitting around watching television. 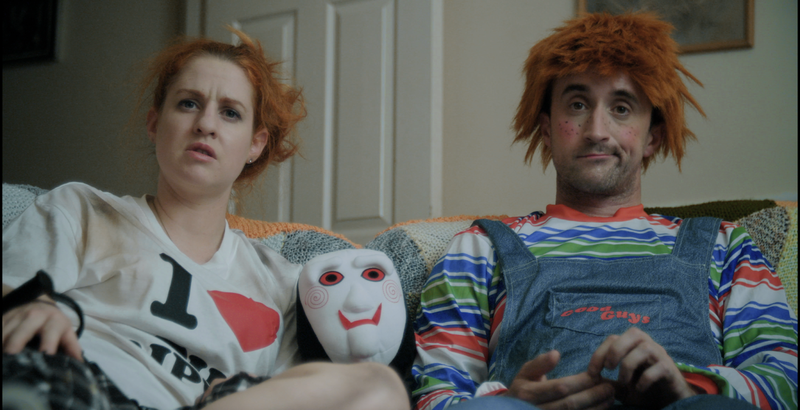 Pitched as 'Gogglebox with a horror twist,' the web series is the first production under the Bubble Wrap Creations mantle, a partnership between Shenton and producer Baptiste Charles. The series reunites the award-winning director with Adam Rhys-Davies and Nic Lamont, stars of her hugely popular horror feature EGOMANIAC. Each episode features an homage to a different horror villain, from Pinhead to Freddy Krueger, placing the series firmly in the genre, but it's the witty dialogue and unexpectedly touching moments that set the show apart. The 8-Part series is now available to watch in its entirety on the Hex Studios YouTube channel. With almost 250,000 subscribers, the channel is fast becoming the go-to platform for indie horror, from their viral Owlman prank videos to creepypasta tales, original web-series and even full movies. The Hex Studios team has big plans for the channel in the coming months, so watch this space, and in the meantime, why not head over there now and binge on their latest delightfully dark indie offering?